Apply to become an air traffic controller! 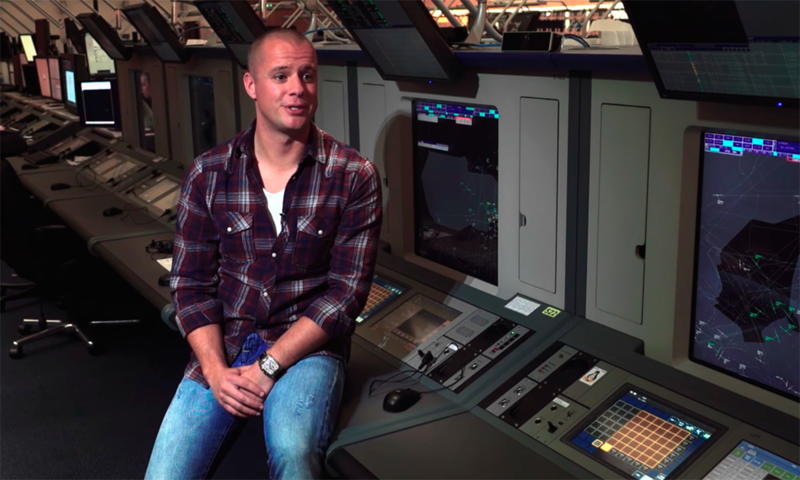 Do you want to become an air traffic controller? If you’re passionate about aviation and have great spatial skills, we can offer you an exciting opportunity to train as an air traffic controller, with the prospect of a rewarding career in a dynamic organisation to follow. We are looking for people to join our multinational team of air traffic controllers at our Maastricht Upper Area Control Centre in the Netherlands. A selection procedure is currently underway to find suitable candidates for the student air traffic controller trainings which are scheduled to start in February and October every year. Specialised training is required before you can join this team of professionals. We will pay for that training, and we’ll also pay you a monthly allowance while you learn! Being safety critical, the job carries a high level of responsibility, so the selection procedure is rigorous and the training is intensely challenging. But if you succeed, you will have an enormously rewarding and interesting career! 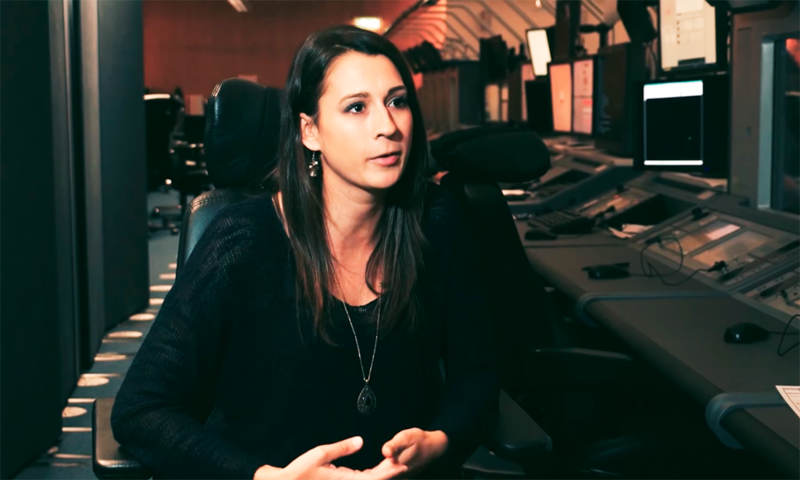 What does an air traffic controller actually do? Air traffic control is used to separate aircraft safely – in the sky as they fly and at the airports where they land and take off again. Air traffic controllers give instructions, advice and information to pilots so that they can fly safely, efficiently and quickly. Controllers keep track of flights by using radar and the latest computer systems. Air traffic controllers need to be able to deal with unexpected events – changes in weather, unscheduled traffic, emergency situations. Air traffic controllers can work at airports – in the airport tower overlooking the runways or on approach as they stream aircraft to arrive – or at en route centres. Through this selection, we are looking for controllers to work at our en route centre. Training to be an air traffic controller takes between two and a half and three years. Training courses usually start in February and October each year; they include in-depth theoretical classes, training on simulators and intensive on-the-job training at the Maastricht centre. The theoretical part of the training is done at an aviation university in Toulouse; classes are in English. We will pay for this training and for your accommodation at the university. You will receive an allowance while you study. If you pass the theoretical examinations, you will go to the Maastricht Centre for simulator and on-the-job training. When at the Maastricht centre, you will need to find and pay for your own accommodation – but we will help you look for a suitable place to stay. Before you fill out the application form, please read the Notice of Competition for Student Air Traffic Controllers. We will screen these forms. If you are suitable, you will receive an invitation to do an online reasoning ability test. If you have successfully passed this test, you will be invited to come to our Maastricht centre for tests and an interview. If you pass these tests, you will undergo a thorough medical examination. 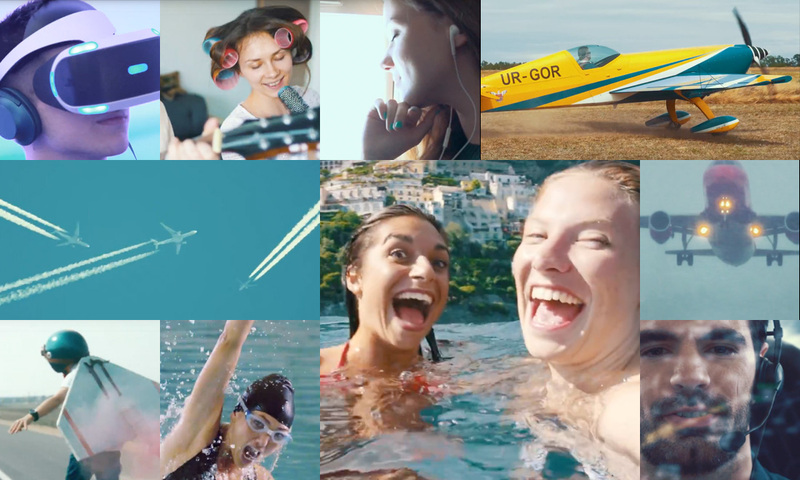 If everything is satisfactory, you will be invited to sign a contract to follow the training courses and to work for EUROCONTROL as an air traffic controller for at least four years. You will need to provide supporting documents - your school-leaving certificate, for example - as well as security clearance from your national security authority. For questions about the recruitment procedure, please email ATCO.students@eurocontrol.int. Can I be older than 25? No, we don’t make exceptions to the age limit. Although knowledge of aviation is an advantage, it is not essential. 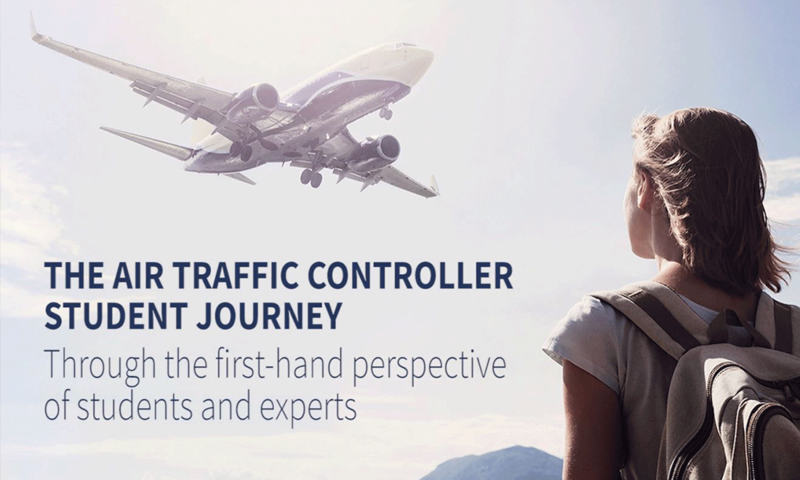 You can do some research on air traffic control; learn more about what EUROCONTROL does and what happens at the Maastricht centre. Familiarise yourself with the challenges and demands of the en route controller’s job. Read aviation magazines. The more you understand about the job you are applying for, the more comfortable you will feel. However, it isn’t really possible to practice for the spatial orientation and psychometric tests beforehand. What matters more is your attitude: it is best to be positive, determined, open. What do the selection tests involve? The selection procedure is divided into several phases. You have to pass each phase before going on to the next one. You are also given a personality questionnaire to complete. After this, you are interviewed by active controllers, psychologists, training and human resources experts. 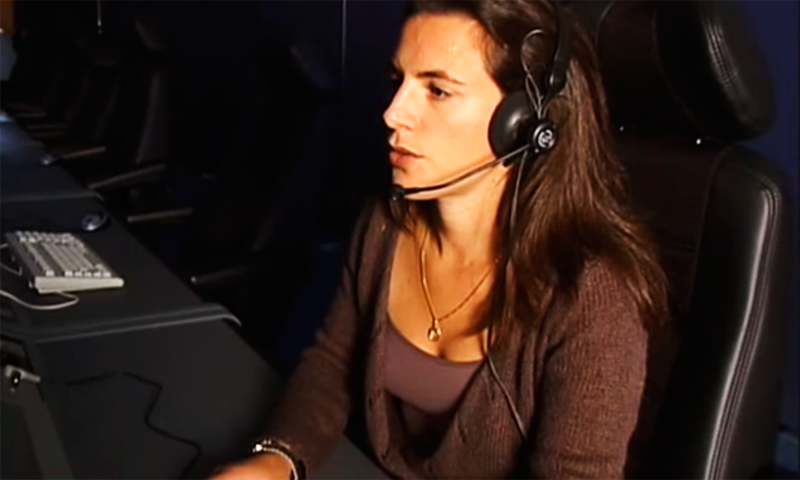 The interview panel will explore your motivation in becoming an air traffic controller. They will look at your background, education, work experience (if any) and your general career expectations. Finally, they will assess your overall suitability for the career, weighing up your motivation, the degree to which you cooperate, your stress resistance and your level of interactive proficiency. If you pass these phases successfully, you will undergo a medical examination. How many candidates pass the tests? The selection rate of a student controller recruitment campaign is about 6%. That means, for every hundred who are tested, six of them will meet our standards. This might sound discouraging, but we do test most applicants who pass the basic requirements because, for us, spatial orientation skills, a good memory and resistance to stress are the most important features we look for – and we can only find out how good yours are by testing them. How many students qualify after training? Around 50% of the intake will finally qualify as air traffic controllers. This is not unusual: air traffic control is very demanding and we have to be certain that the people who qualify are really up to doing the work. It is important to know that a student with unsatisfactory results can be dismissed at any stage. Students who are asked to leave do not have to reimburse any costs or money that they have been given. But don’t let this put you off applying: other jobs and examinations are also difficult. You should try to make sure that you use the feedback – and criticism! – that you are given during your training to improve your performance overall. Keep your end goal in mind and be determined to succeed. Is it really stressful, being an air traffic controller? These abilities are tested to see if you have them to begin with - and they are developed and extended with rigorous training. You will be fully trained to cope with all aspects of your job. Our controllers at Maastricht said in a recent survey that they feel unafraid of their work; they are not nervous about problems they encounter; they are able to relax when they need to. You will always be supported by colleagues who deal with the same issues and who will be able to help you confront them. Your training will enable you to handle the problems you will face. I applied before but failed the tests. Can I apply again? You may apply once more but only after two years have lapsed. Retesting is only done once. It is very important that controllers are fit enough to do their work so the medical examination is a vital element of the testing procedure. If you become an air traffic controller, you will undergo medical examinations throughout your career. You will need to obtain the following document (pdf). There should be no hearing loss in either ear, when tested separately, of more than 20 dB (HL) at any of the frequencies 500, 1,000 and 2,000 Hz, or of more than 35 dB (HL) at 3,000 Hz. You must have normal colour vision and your visual acuity must be 6/9 or better in each eye separately and 6/6 together. You may use corrective lenses but there are limits to the amount of correction required. Correction shall not exceed + 5 or – 6 dioptres equivalent spherical error in each eye. Cylindrical correction shall not exceed 2 dioptres in each eye. If you have had any form of eye surgery, including laser visual correction, then you are, in principle, disqualified. However, if after extensive ophthalmological testing, the Authorised Medical Supervisor is satisfied, then you may be assessed as fit, providing that before surgery your vision was between +5 and -6 dioptres. You should have normal blood pressure and no disease of the cardiovascular system. any progressive disease of the nervous system. You should have no significant respiratory disease. You should have no significant disease. Alcohol consumption is strictly controlled and recreational drug use is forbidden for trainees and controllers. What hours does a controller work? Air traffic control is 24/7, 365 days of the year, so controllers work in shifts. Generally, controllers work four eight-hour shifts, followed by two rest days. As a rule, controllers work for one and a half hours at a time, with a half hour break. There are many different shifts with staggered starting times to allow for efficient planning. If you need time off for personal reasons, requests can be considered when duties are assigned. Air traffic controllers have responsible and demanding work and the salary is commensurate. You will have a basic salary with additions, depending on your circumstances. If you are married or have a child, you will receive a household allowance. You are given a child’s allowance for each child and, if your children are at school or university, an education allowance. Expatriates are given an allowance of an extra 16% of their basic salary: this allowance is not paid to trainees. Deductions for your pension scheme (10% - but this is not applied during your training) as well as for your membership of EUROCONTROL’s medical insurance (1.6%) are made from your salary. Once you have qualified and are licensed as an air traffic controller, you will begin working at the Maastricht Upper Area Control Centre as an "advanced trainee air traffic controller" with a single sector validation. After further validation, you will be promoted to "air traffic controller". For controllers working 24/7 shifts, there is a flat rate shift allowance of around €1,500. English is the internationally accepted language of air traffic control. Your training will be done in English and all tests are in English. When you are an air traffic controller, your working language will be English. You will need proficiency in English in order to do the selection tests. Knowledge of Dutch, German and French will help you integrate into the communities in Maastricht. We will screen your application. If you are suitable, you will be invited to come to our Maastricht centre for tests and interviews. 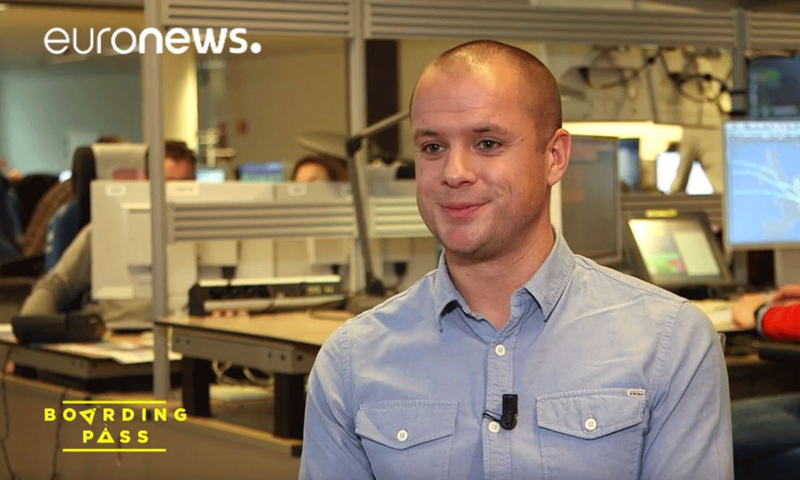 For questions about your application, please email ATCO.students@eurocontrol.int. What's it really like to be an ATCO? Get an insight into the work and life of air traffic controllers at the Maastricht Upper Area Control Centre on Instagram. For any question related to the recruitment of Air Traffic Controllers, please send us an e-mail. Forging a new generation of able, motivated ATCOs! I became an Air Traffic Controller (ATCO) because I had an interest in aviation and the job offered me the opportunity to travel and work in a number of different operational environments all over the world. I undertook my ab initio training in the dark ages in the late 70s. Why do I say 'dark ages'? Well, this was before ab initio training was taken seriously. Consequently, the standard of learning tools and the instructional techniques and interpersonal skills of many instructors left a lot to be desired. In reality, the ab initio training course came down to a survival test, with only those with either a high level of aptitude or mental resilience graduating. My success was down to mental resilience rather than a high level of aptitude! I was later selected as an ab initio training instructor, having completed my first operational ATC assignment. Fortunately, the ab initio training process had undergone a transformation since my time as an ab initio. Firstly, a 16-week ATC instructors' course had been introduced. This taught you the basics of classroom and simulation instruction before you were let loose on the students. If you failed this course (and 25% of the ab initio instructors did), then you returned to operational duties. Secondly, all the instructors were selected from operational duties and knew they would return to operational units when they had completed their ab initio instructor assignment (usually on promotion as a unit training officer). In consequence, most instructors were motivated, young and with fresh operational experience. Furthermore, as they knew they would be returning to operational duties and working alongside the ab initio students they were training, they had a vested interest in training the students well and removing those with limited aptitude at an early phase of the training! In addition, the recruitment and selection processes had been enhanced, along with the quality of the computer-based training tools and the ATC simulators. All these ingredients helped to improve the quality of ab initio training and raise the chances of students’ achieving the required standards for successful graduation. As an aside, from a career development viewpoint, we were provided with management and leadership development opportunities as ab initio course managers during our time as instructors. This helped set me and a number of my colleagues on the road to senior ATM management positions in the RAF, NATS and the UK CAA in the future. Turning to more recent times, I have had the privilege of being the Head of Training at the EUROCONTROL Institute of Air Navigation Services in Luxembourg. The quality of ab initio training across Europe has gone from strength to strength to strength over the last 15 years. For me, many of the factors quoted above play an important role in ensuring that those ab initios who possess the motivation and aptitude make the grade and become operational ATCOs. The key factors remain: high quality and motivated ab initio students identified through effective recruitment and selection processes, high quality instruction from eager and knowledgeable instructors and high quality basic and rating courses which optimise learning through a mix of e-learning, computer-based exercises and high quality simulators. The basic and rating courses that Maastricht Upper Area Control Centre (MUAC) now uses at the French Civil Aviation School (ENAC), coupled with the MUAC pre-transition training and the ab initio training, contain these ingredients. I am confident that this training regime will successfully produce the new generation of able and motivated ATCOs who are capable meeting the demands of MUAC in the years to come. The proudest thing I have ever done! After I left college with a Science Degree, I had no clear idea of what I wanted to do. I ended up working at Heathrow Tower in an administrative position and, one day, I picked up a copy of Flight magazine and saw an advert for student Air Traffic Controllers (ATCOs) at the Maastricht UAC (MUAC). That sounded fun and with the excitement of a move to Europe, I jumped at the chance: turned out to be one of the best decisions I ever took! The training now has changed a lot, we had exams at what felt like every six week, only one resit allowed and then if you didn’t pass, you were out. But it was summers in Luxemburg and winters in Maastricht so a nice combination, a lot of hard work and a lot of fun. We all had different levels of experience and that helped form a great working team as we each helped out with our strengths and pulled the weaker ones along. My weakness was procedural control – without radar I was swimming, I had no clue where the aircraft were. I just followed the rules blindly and made it through by the skin of my teeth. Coming to Maastricht and being given a radar to work from was like a light going on, thank goodness, but this was tempered after a while when they actually ask you to talk to real pilots in real planes with real passengers. The first time on the frequency my voice was a little squeaky but with coaching and experience you calm down and settle in to the job. I enjoyed the work a lot but I could gradually feel my background taking over and I became more and more interested in the systems behind the radar screen. I started working part-time on developing the interface that controllers use to make inputs to the system – we were designing a completely new one. I then decided that this was the type of work I wanted to do, so began to do it full-time in the offices. I have worked on implementing a new radar tracker; I’ve designed alerting systems in case aircraft get too close. I also worked on replacement Flight Data Processing Systems – the heart of the technical side – and on concepts such as airborne separation and formation flying for civil aircraft. I also interfaced with Boeing and Airbus to explain what we on the ground want from their planes. It’s a nice mix of some things I will probably never see and others that I can walk into the Operations Room and talk to colleagues who are using things I have invented or developed and get instant feedback. It is obviously great when they like it! Now I work in a European programme called SESAR, the Single European Sky Air Traffic Management Research programme. I am responsible for two main projects related to the exchange of aircraft trajectories between the pilots and the controllers, downlinking the flight management system information. I’m also busy with the exchange of air traffic information between the ground control centres; once again, it is a mix of conceptual work, research and validation. Over the coming years, we will move towards deployment, working closely with our partners in the member states as well as with colleagues in Maastricht, aligning our systems so we can talk to one another in one language. I have been here now for 25 years and it is frightening how quickly the time has passed. There have been some tears on the way, of course, but becoming an air traffic controller was the proudest thing I have ever done and I am full of admiration for the guys who are still talking to aircraft. I see my role now as making sure the systems they use are built from the perspective of one who knows the business and always tries to keep them in mind. Rules, procedures, creativity, inventiveness: an unexpected mix! I haven’t been an operational air traffic controller for many years now although my job is still related to the training of air traffic controllers. I had the opportunity to go to the IFATCA annual conference about a year ago. It amazed me how easy it was to slip back into the zone that most air traffic controllers are in: the easy laughter, the constant seeking for some kind of mental stimulation, the great stories, the pride in our profession, the intensity of opinions – it was wonderful. There was someone with me who was not an air traffic controller and as we were looking around the room on the final day, this person made two remarks that I found interesting. The first was that she had never seen a group of people socialise for so long and as passionately as the air traffic controllers. This did not surprise me, air traffic controllers are an oddity in that they need to be self-assured and confident enough in their own ability to make independent decisions and take responsibility for those decisions, but at the same time they understand that they are part of a much larger system. That system includes the planner sitting next to them, the flight crews they are speaking with, controllers on the adjacent sectors, the supervisors and so on. For the system to work, they understand how important it is to be a part of the team, to make those decisions while taking into account the other actors in the system. This awareness of others, seeing colleagues when they are at their most stressed and also when they are completely on top of their game, and having others see you when you are at your most stretched, by some peculiar means seems to foster a unique and special way of socialising and this is something to be valued in today’s society. The second comment was far more surprising. The person said that the controllers seemed ‘artistic’. At first I wanted to disagree – after all, controllers are bound by rules and procedures – right? We don’t ‘do creative’ – or do we? Well, there were the obvious outward signs that controllers might not be the most conventional of people – just looking around the room you couldn’t help but notice the different and sometimes bizarre dress and hair styles! I know it seems strange to comment on this, but it was noticeable that these people did not conform to any one particular pattern or stereotype – there was a lot of creativity. And then I thought about the job – yes, there are large parts of it that are procedure-driven. However, there are also some very critical times; when it is particularly busy, or an aircraft is experiencing an emergency, or a piece of equipment is not working properly – when there is no procedure that fits the situation exactly and no system that solves the problem, and this is when the creativity and the inventiveness of a controller shine through – this is when we may, quite rightly, see them as ‘artistic’. And so I left the conference remembering that closeness you felt when working in the ops room with your colleagues, the sense of a shared experience when it was really busy but you got through the shift and knew it was a job well done. And I looked back and remembered that this was a job well worth doing. Plan - do - check - act! I am Head of Training & Proficiency at the Maastricht Upper Area Control Centre - MUAC, as we call it. I am responsible for ensuring that all our operational staff become competent - and remain proficient - in their jobs in our operations room. As was the case for many of us, it was more by coincidence that I discovered the job of air traffic controller (ATCO). Following my first visit to an operational centre, I was convinced that this was the perfect job for me. The demanding job of ATCO offers a perfect balance between the need to have enough theoretical knowledge to apply to your daily job and then doing it: the job of providing safe and efficient services to air traffic. Before training as a controller, I did not have an aviation background. I believe it is not essential either. Although it might offer a better insight into the aviation world, I think that the cognitive abilities and, even more, the motivation for this type of a job are more important in being successful in training and for being happy in the job afterwards. Without an aviation background, the basic (theoretical) training is quite demanding. Most – if not all of it – is new and it takes an effort to study and absorb it. Every student goes through times which are more difficult than others. For one person, it can be the aviation law course and for others, the first simulation exercises. The teamwork and group dynamics are very important. You spend about a year (basic and rating training) with the same people and you form a ‘team’ supporting each other. Sometimes this will be in difficult moments but more often, it is sharing the pleasure and fun. The job of an ATCO is probably the best job in the world. It is indeed a very demanding job (professionally and socially) but it is also a very satisfying profession. The feeling of having pushed that amount of tin safely and efficiently through the air is a feeling that probably only ATCOs share and understand. Also, the instant return of results in a job well done is very satisfactory as well as the on/off rhythm it implies: you plug in and do the job, plug out and job finished! Working shifts has its pros and cons, as is often the case. Socially, it definitely has an impact on your private life but it also gives you a lot of free time when other people are working. 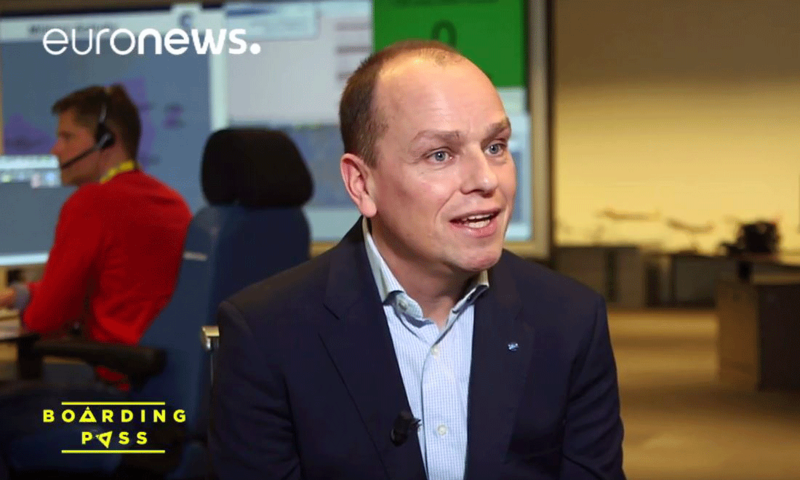 "Plan-do-check-act within seconds/minutes" is what I liked best about being an ATCO. It allows you to have immediate results when the job is done. Go for it! It is almost definitely the best job in the world! When fate took a hand! To begin with the context: I first started studying engineering at university in Bari, Italy, and then changed to languages. But that did not suit me either and I landed up failing my first year. I could not work out what to do next; nothing appealed and I felt lost. I was wandering around Bari one day when my attention was caught by an aviation magazine on a newsstand. I had always been intrigued by aircraft – an uncle of mine worked for American Airlines in the States. As I was reaching down to pick up the aviation magazine, my eye fell on one next to it. It was “...Ore di volo”, a magazine about air traffic control. It was the very last copy on the newsstand! I bought it, sat down on a bench, and began to read it. There was an advertisement for student air traffic controllers. I decided to apply – and then saw that the expiry date was the next day at noon! You needed proof of identity to accompany your application and, at that time in Italy, this had to be provided by the mayor of your hometown. So, I jumped on a train and went to my hometown. I filled out all the papers and was at the mayor’s office before it opened at 8.30 the next morning. To my frustration, the mayor was not in the office … and nobody else could sign on his behalf. Just when I was sure that it would never happen, he walked in, signed the paper – and I could post my application. In order to be valid, the letter of application had to be date-stamped before noon. Mine was stamped at 11.57! I did not make it on the first selection round – but by then, I knew that I really wanted to be a controller. I learned that there would be another intake the following year, so I spent the year reading and studying all I could find about air traffic control. The next time, I was accepted on the course – and was really pleased when I graduated top of the class. I worked in Milano ACC for seven years, after graduating. I followed this by time in Brindisi. It was in 1999 that I saw a competition for an air traffic flow position at EUROCONTROL. I applied and was accepted. I then worked on the Network Management Cell. There were only three of us to start with; now there are 15. In 2013, I became Head of Operations in the NM Operations Centre. What characteristics does an ATCO need? To start with, you can’t be afraid of taking responsibility. You have to be brave – but not reckless or over-confident. You have to be aware of your own abilities and limitations. When you know that such limit is going to be reached or exceeded (and believe me, this will happen during your career), then it is time to take a deep breath, calm down, no panic. Take a calculated risk, learn from the experience and the ‘bar limit’ will be raised! Another really important quality is having the right kind of imagination: you have to imagine the traffic in your head in 3D. It’s easy with three flights: 12 is a lot harder! ATC is never routine; you can never take anything for granted – you must check everything twice and keep your attention levels as high as they can go. Will you make mistakes? Yes, we all make a mistake at some stage. But they can nearly always be recovered and you have your colleagues and supervisors to support you. I have to say, the job is fantastic. I would still like to talk to pilots … it’s such an exciting job. You have constant adrenalin shots; it is as if your senses are all set at maximum for your two-hour shift before the break. 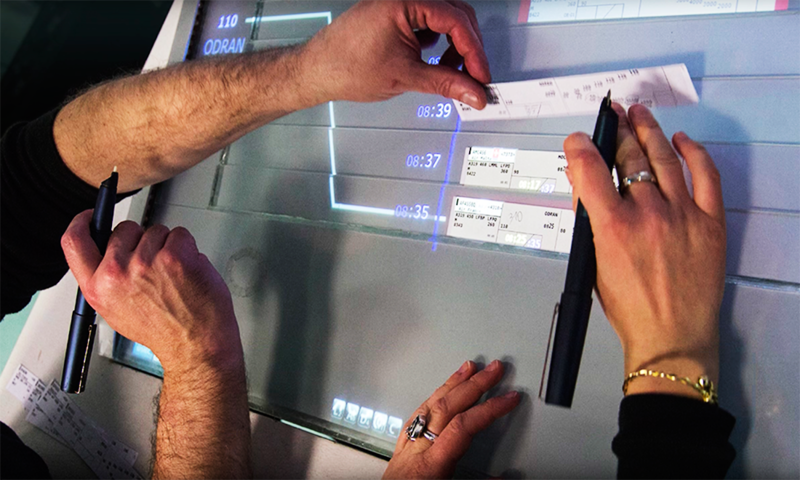 It’s just you and the pilots – and everything depends on you (and your capability). These days, I have 200 people in my Unit, not really easy but manageable. In Network Operations it is normal not to have full control of the events, as they depend on too many variables and 'actors', but the trick is to have the current picture of the situation crystal clear, in order to find the right solution to the problem and always to be ready to change the plan if something modifies the scene ... and this happens every time! Most days are normal ones, but when we have unusual situations, the adrenalin runs again! My controller experience is essential in dealing with network issues. You have to take the safest decision; you have to take the best one even when data are not sufficient to reach to a decision. The lessons I learned from all this? Don’t get discouraged too quickly. There is always another train to catch, so to speak, and you just have to be clever enough to grasp opportunities as they appear. Learning to be an air traffic controller is complex. You will find that you fail at some things but succeed at others. A lot depends, of course, on how much effort you put in. Don’t give up too fast, as it is a marvellous job that I would strongly recommend to all those who do not like routine! The job of an air traffic controller (ATCO) can open doors to many other different career prospects. I was a private pilot at sixteen years old and I wanted to become a professional pilot. My flight instructor was an ATCO and he talked to me about his job and praised it. In comparing it to piloting, he told me that the private life conditions of an ATCO are much better and more stable than those of a pilot. I then applied for training and became an ATCO at the age of nineteen. I trained ab initio students for the last fifteen years of my life and this was the most rewarding position ever. Taking somebody “from the street” and seeing him or her able to handle forty aircraft an hour after just six months of training is just amazing! Today, I am part of the Research & Development team in EUROCONTROL's Experimental Centre at Brétigny-sur-Orge where I can help engineers and other people understand the different needs of ATCOs better. Air traffic control is an attitude: an attitude of trust in yourself and in your team and it goes with mutual respect. Teamwork, respect and trust between ATCOs: these are the things that I liked most in the job. Being an ATCO also means responsibilities; it means variety in the daily working pattern. Every day is a different day; it is very far from Stakhanovism. Nothing is repetitive. Working shifts has great advantages in the sense that, when you are at home, “normal” people are working. You can be with your kid/family when others cannot and, of course, the reverse. It has some side effects that are more obvious when you get older due to the fact that you do not have a regular life (sleep, eating time, etc.). To those who would like to try to follow this professional path, I would say: be yourself, motivate yourself. The training is hard as, I believe, is other highly specialised training (e.g. a surgeon or a high-level/extreme sportsman/woman). It is a sacrifice when you do your training because you need to allocate 100% of your time to the training. You even dream (or have nightmares!) of ATC during your training! But when you like what you do, when it gives a sense to your life, then you are motivated and this motivation helps you not to give up. Being an ab initio is also quite rewarding in the sense that you become financially independent and, early on in the training course, you can experience the practical side of the job (working on the simulator). Being good at teamwork, thinking out of the box, finding solutions quickly (not the best one necessarily, but the one that will work), being relaxed (but not lazy), having good situational awareness in a multi-tasking environment are the aptitudes that I think would help a person to become a good ATCO. I didn’t know what I wanted to do as a career when I was at school. All I knew was that I wanted something practical but challenging - and something that would pay! – but I had no idea what that might be. Then I read a book about the first woman commercial pilot in the United States - oddly enough, I found the people in the background more interesting, the controllers especially. I thought that being a controller sounded appealing. I told my parents. They were surprised at first but my father, with three daughters to worry about, said he would try and find out how you went about becoming one. The next step was to visit the ATC college. The guy interviewing me was bemused: I was a foreigner and I was a girl. They had never had one of those before! He asked me questions and, satisfied, told me that I would be OK. He gave me forms to fill in and then I had a medical examination. A week later, I found myself in the seat of conservative Afrikanerdom for an interview. They did their best to put me off. They spoke about the long hours, about having to work alone, about the shifts. But the more they tried to put me off, the more I thought I would love it - the idea of being responsible for an airport in the middle of the night really appealed to me. I started working on 13th December 1976: 40 years ago this December. Now, I chair the ICAO PBN Study Group. What did I like best about being an ATCO? The diversity. Throughout my training and early work, so many things were unstructured and needed development. Because it was a small administration, I could do things like design airspace, develop a slot system and run an ATC familiarisation course for pilots. It’s a fun job. If you ponder a lot or have a tendency to dwell on things, don’t consider being an ATCO. You can’t ask: “Why?” too often. You need to be quick, to react, to stand the pressure and to learn from your mistakes. Don’t give up too soon: hang in there, you’ll get there. The most invaluable thing will be the team you are in: they will give you end-to-end moral support and you’ll have mutual respect for each other. The best aspect of being an ATCO? You just unplug and go home; no homework; no studying. This job can take you on the most exciting journeys. When I started on this path, I had no idea of where I would land up. That is the charm of it - I have had an enormous amount of fun.